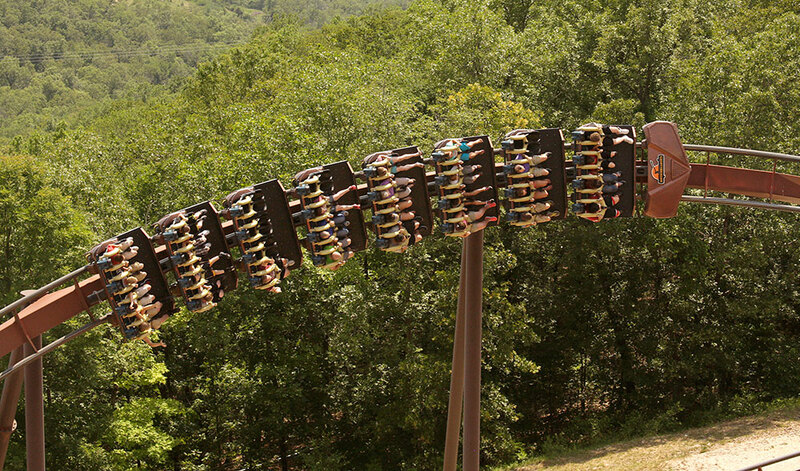 During the 24 days of Bluegrass & BBQ Festival, Silver Dollar City is filled with the sweet sounds of fiddles and mandolins as Bluegrass legends, award-winners, family bands and rising stars perform on stages throughout the park. There’s no doubt that visiting Bluegrass fans will want to catch as many performances from this stellar lineup as possible. Even if you’re not a bluegrass music aficionado, this festival has plenty of fun for you to sink your teeth into – including a menu chock-full of sweet & tangy slow smoked barbecue which includes both traditional favorites and unexpected treats. Whether you’re spending your day catching performances from your favorite bluegrass bands, playing on over 40 rides & attractions, or both, you’re bound to work up a powerful appetite. Luckily, wherever you find yourself on park, delicious bbq is just around the corner! During Bluegrass & BBQ, the best of both worlds - food & music - come together in Red Gold Heritage Hall as it is transformed into The House of BBQ. 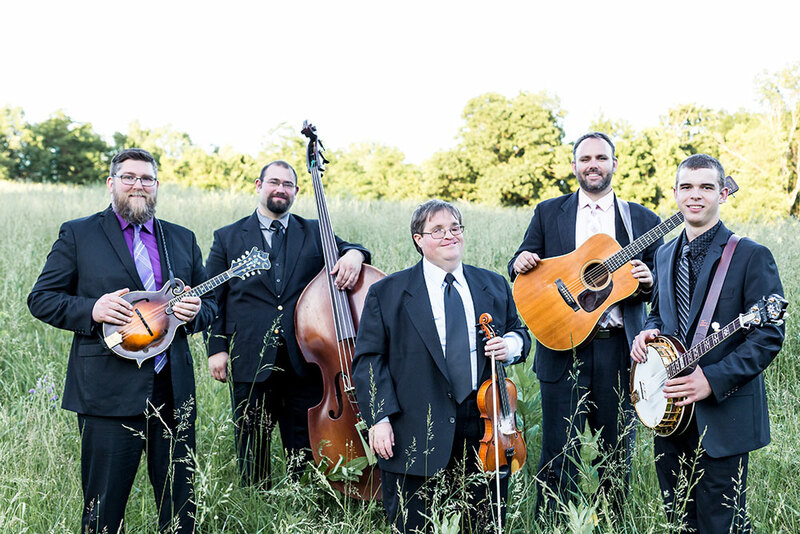 Hear today’s rising bluegrass stars live as you savor Silver Dollar City’s own slow smoked barbecue. The menu includes traditional favorites like beef brisket, smoked chicken, pulled pork, bbq sandwiches and 3 styles of ribs. 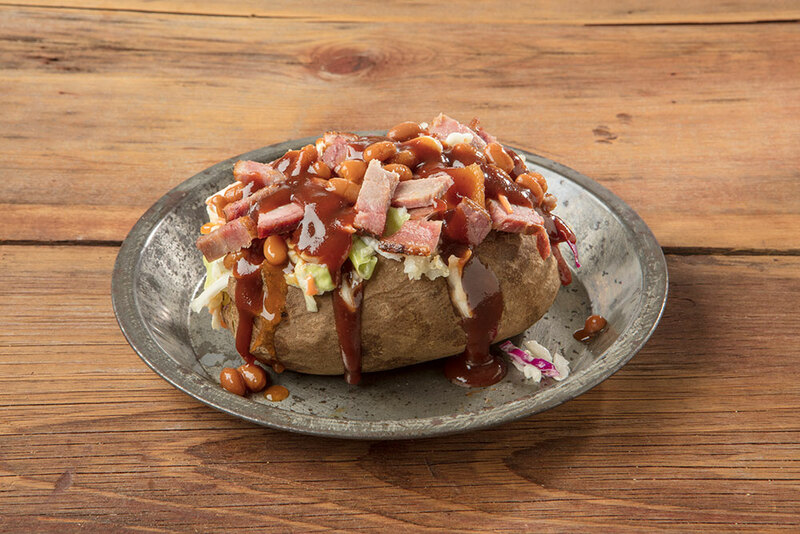 If you’re in the mood for something just a bit different, they also serve baked potatoes and nachos topped with your choice of slow smoked meat, apple baked beans, creamy cole slaw and drizzled with bbq sauce. 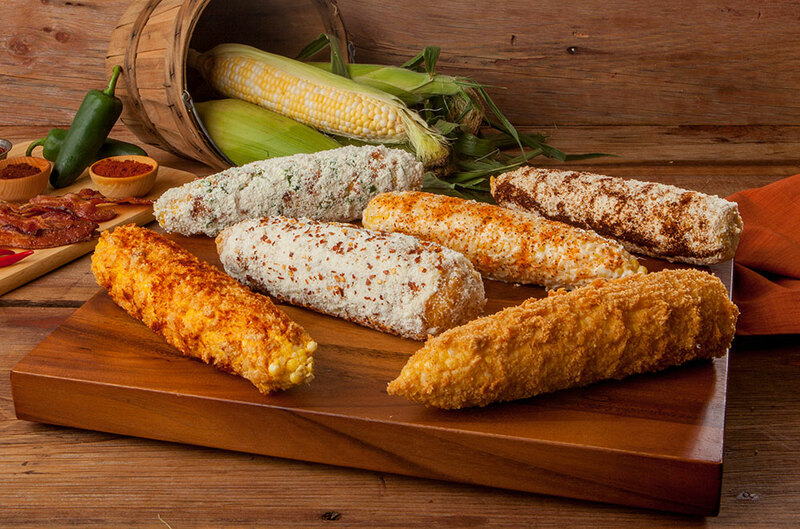 And, no matter what you choose as your entrée, you must try the crazy corn-on-the-cob. With flavors including Mexican street-style, cheesy pork rind, bacon jalapeño and buttered with seasonings, it may be a tough choice. Don’t forget dessert! 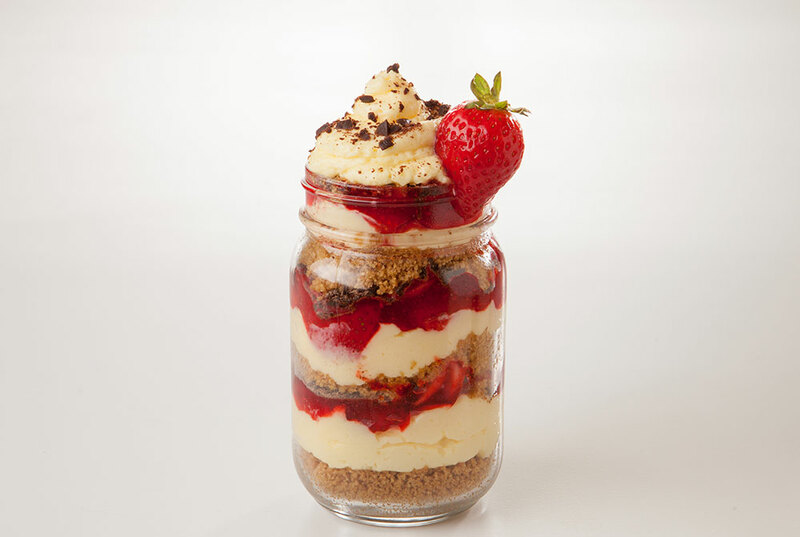 Choose from apple pie cheesecake or strawberry pie cheesecake in a Mason jar or a traditional slice of creamy cheesecake with fruit topping. If you’re visiting on Friday or Saturday* beginning May 11, head up to the Reunion Hall on the City’s Square beginning at 11:30am for an unforgettable family-style barbecue feast. 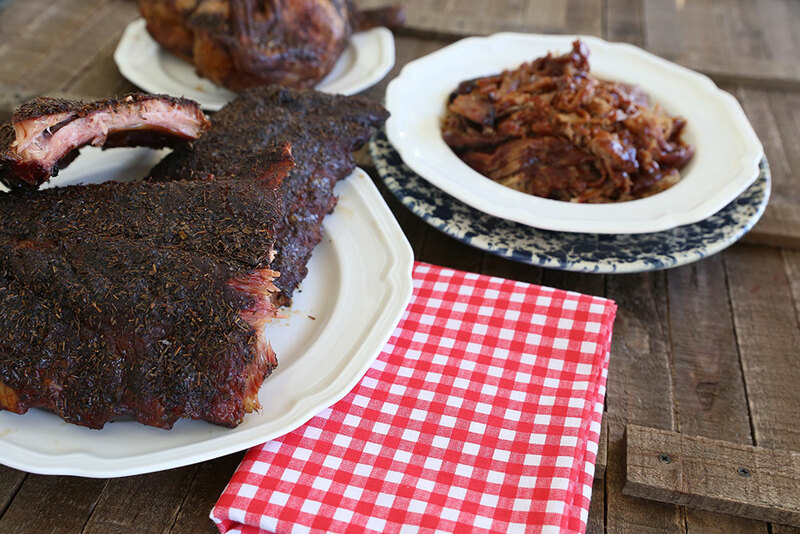 This all-you-care-to-eat barbecue spread includes a carving station with smoked tri-tip and ham as well as entreès like St. Louis-style ribs, beef brisket, pulled pork and smoked chicken. 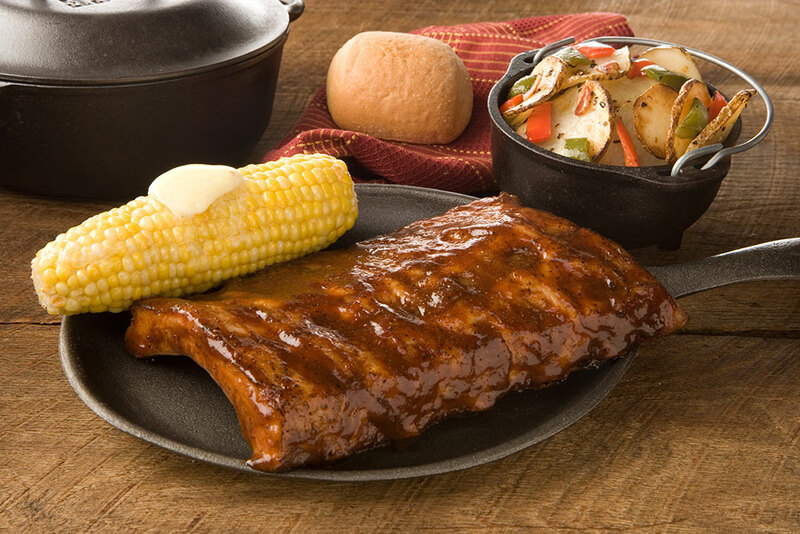 With any great barbecue meal, the sides are just as important as the meat and you’ll find a mouthwatering selection of dishes from which to choose including mac & cheese, scalloped potatoes, creamy corn, apple baked beans and fried dinner rolls. Plus, add a crisp, cool note to your plate with fresh salads. 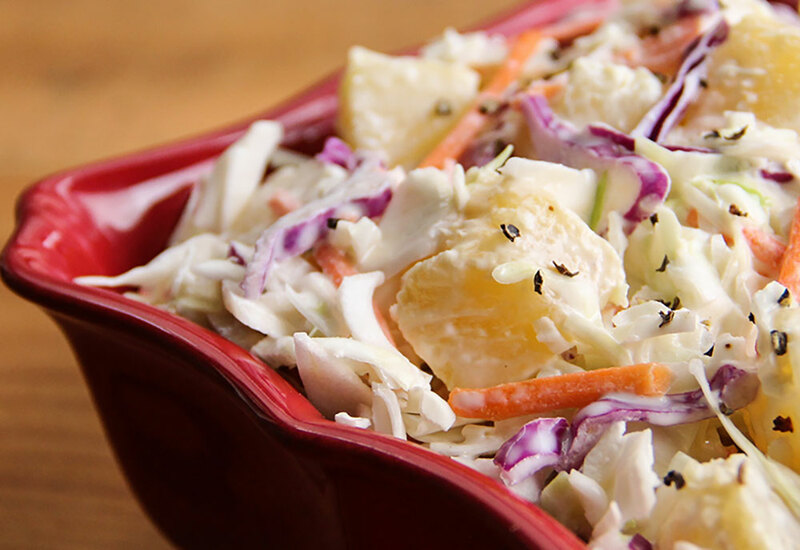 Craft your own with toppings from the garden fresh salad bar or try one of Silver Dollar City’s own creations like dill cucumber salad, pineapple cole slaw or creamy macaroni salad. Save room for dessert! 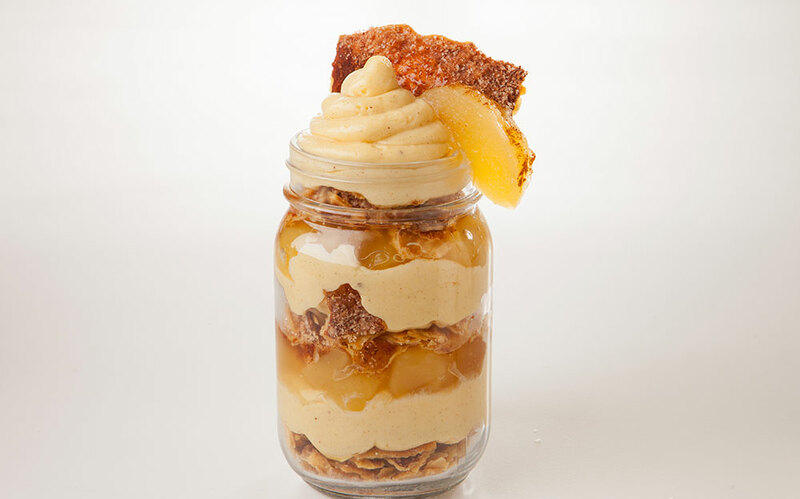 Selections include apple pie cheesecake or strawberry pie cheesecake in a Mason jar or a traditional slice of creamy cheesecake with fruit topping. 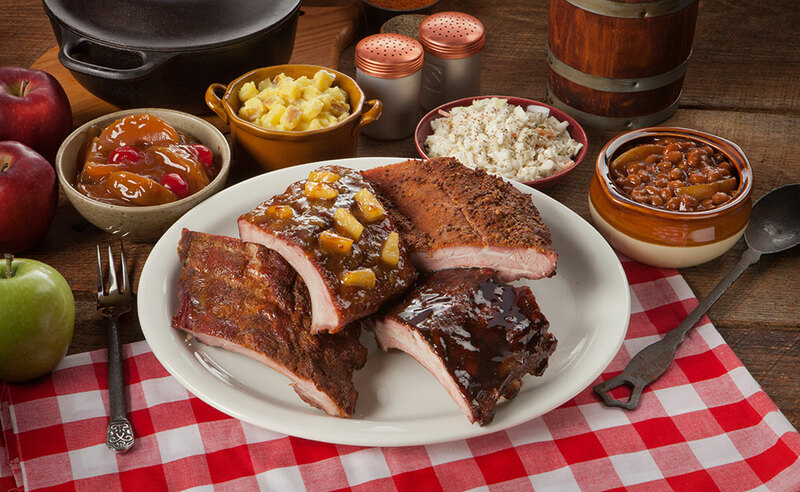 While Bluegrass & BBQ Festival is the time to experience maximum barbecue flavor at the park, some of Silver Dollar City’s 18 award-winning restaurants serve up delicious barbecue all season long. You can always find your favorite slow smoked meats and sides at The Lucky Silver Mine Buffet on the Square as well as ribs, pork, chicken, sausage and more at the Riverside Ribhouse. *The Reunion Hall BBQ Feast is also available from 11:30am to park close on Sunday, May 27. **Park closed May 7 & May 14.